Here is the #NVprepsfb list of Southern Nevada’s top five running backs. 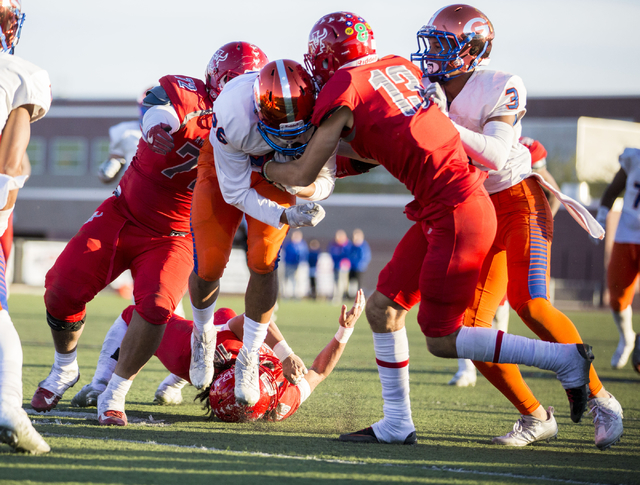 Bishop Gorman’s Amod Cianelli comes in at No. 5 on our #NVprepsfb list of Southern Nevada’s top five running backs. Then we grabbed the statistics from last season, looked at the player’s collective rankings on recruiting websites and used our own judgment to fill holes. This resulted in the #NVprepsfb running back rank. The list is based off high school productivity and not college or professional potential. Stay tuned for our wide receiver/pass catcher and defensive player lists that will be unveiled each week until the end of July. 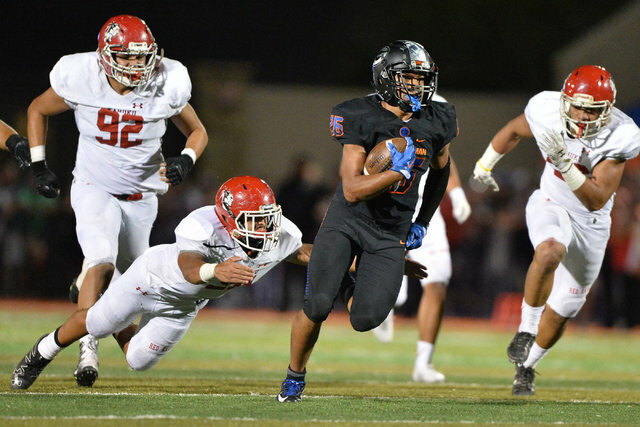 Cianelli rushed for 793 yards and five touchdowns on 105 carries (7.6 yards per carry) as a backup to California signee Biaggio Ali Walsh last season to help Gorman win its eight consecutive state title and third straight mythical national championship. He ran for 116 yards and a touchdown in a highly-publicized matchup with St. John Bosco (California), and added 157 yards on 23 carries versus Kahuku (Hawaii) last season. To get involved in the discussion, use #NVprepsfb on Twitter. You also can follow along @nevadapreps.